Just look at how she’s grown and flourished in just two months! It’s crazy to me every time I see her. But that’s what the baby year is like, it simply doesn’t stand still. If you’ve been following along, you’ll know that I have been tracking Emma’s progress since she was newborn. It feels like I blinked, and suddenly she is already eight months new (or is it time to switch to old?). She is growing into an affectionate, curious little angel. She loves to laugh, “read” and she sits up all by herself now. There are such special milestones in a baby’s first year of development. Moments that you think you’ll remember as a parent, but pass by so quickly that you barely have time to take notice, never mind taking photos. Emma’s parents had the brilliant idea of hiring me to do a mini-photoshoot of Emma every two months. Although I do offer a One Year Later Session exclusively to my clients, it has become clear to me through my visits to Emma and her family, that there is so much growth and wonder to document at shorter intervals. Please inquire here to find out more as I only take on a handful of these yearlong projects at a time. Little Emma is now six months new! It is truly exciting to play witness to the development of this little cutie. I checked in with her just two months ago, and I cannot believe that we have already reached the six-month milestone. 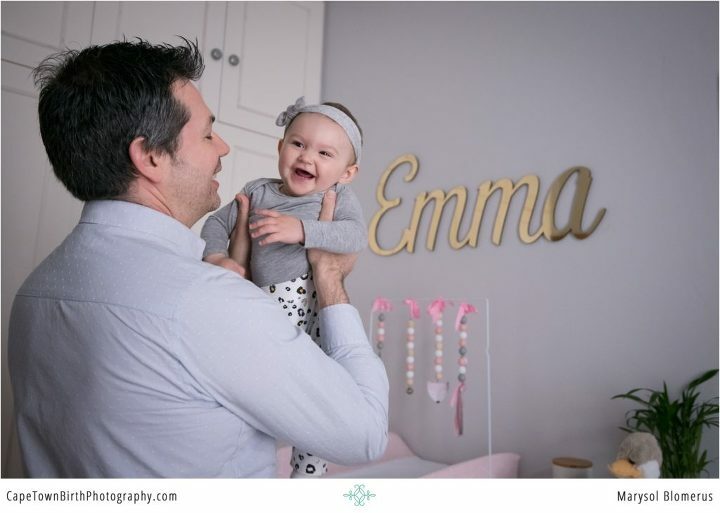 It seems like Emma has grown about a foot, and it feels like just yesterday that her tiny pink body was about the same size as her letter board that we pose her next to every time we have a photo session. Inquire here if you are interested in hiring me to document your baby’s first year of life. I only take on a limited number of these per year and every session will be bound in a luxury heirloom album once the baby year is complete. As a birth photographer, I spend a lot of my time watching Life as it begins: playing witness to the very first moments of a little human being’s beginning. It goes without saying that this privilege is something that takes my breath away time and time again. What surprises and delights me just as much, is the vast amount of change that takes place in that little human being within just a few short months following their birth. It’s astounding. Huxley’s parents made the wise decision to document some of these fleeting moments, by inviting me to visit them every three months for a mini shoot. It feels like he was born just yesterday (Missed it? Here is his Birth Film! )… followed shortly by his newborn shoot, and yet when you look at him now, his growth and development are evident. Watch this space – before you know it, it will be time to check in with Huxley again for another update. Nothing flies like the baby year! Enjoy the adorable Huxley – 3 months NEW. Emma is 4 months new. It has been two months since her previous shoot (I’ll be visiting her every two months to track her growth for the first year of her life) and her development is evident. She has blossomed into a people-loving, curious and happy little angel! She is now grabbing her toys and pulling them towards her; sitting up with assistance; starting to roll over… Time spent in her gorgeous nursery is suddenly interactive and playful. What a difference a few months makes. 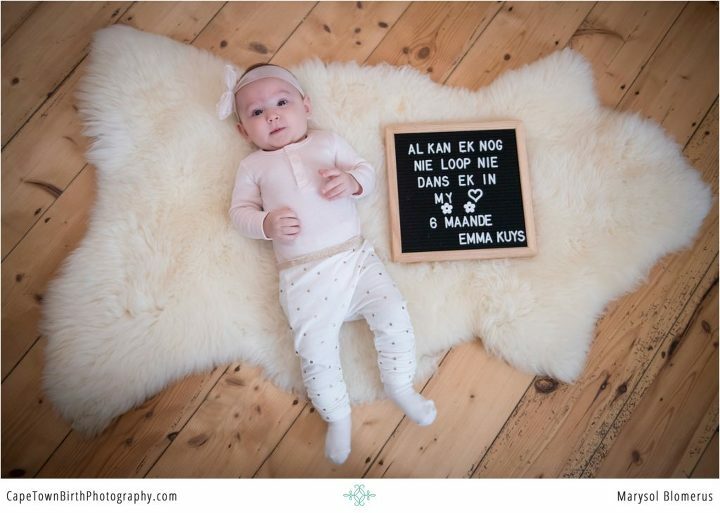 Here are Emma’s Newborn and 2 Months shoots, in case you missed it. Since first posting these, it has become clear that shoots like these that capture the incredible journey of a baby’s first year of life are in high demand. Emma’s parents booked my Maternity & Newborn Package and we added on these mini shoots. All of these sessions will be added in to her heirloom album to make an incredible baby book. Inquire here if you are interested aswell. Without further ado, enjoy the beautiful Emma 4 months new. I’m not gonna lie. I brought my game face to this session. Four kids under six (one of which is a newborn, the other a toddler). At least one couldn’t run off so we had that going for us. This was a record number of littles for me at a newborn session. I can confidently say, it was absolutley GORGEOUS. You will agree. So many frameable portraits and unscripted moments of their family of 6. In hindsight and comparison, their maternity session was cake! I loved each sibling interacting with Viaan because it really highlights their different stages and sizes. I mentioned in his birth story how this family made my heart ache for having four kids. Their newborn session basically kept that going. They are so beautiful and I smile fondly at the memories they will make over the decades to come as six. Normally newborn sessions are done in-home but if the weather is nice we can take it outside. In their case, they traveled to Cape Town for his birth and didn’t have any real attachment to their AirBnb as one would have to your own home so all the more why a beautiful outdoor setting made sense. If you are moving between homes or traveling through, I can help advise great locations that can work instead. Newborn sessions like these include your classic portraits that you might really want to frame and gift to family. But also are lifestyle in focus, getting all the unscripted moments in between and angles that are flattering but not as rigidly posed. You won’t see a baby in an unnatural position in a pot (awesome as that style is, it’s not mine). But you will see all her tiny details and portraits of her natural brand new beauty. 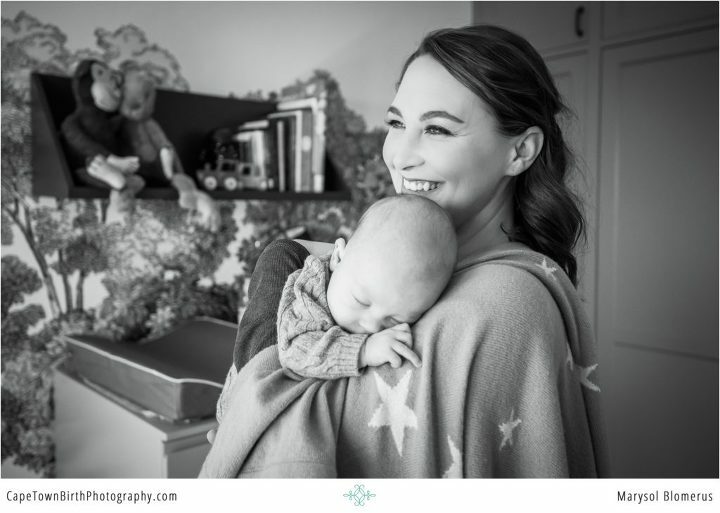 Newborn sessions come in a package with a maternity session and a jaw-dropping luxury album. Because I believe in printing images and holding them in your hands. Inquire here for more information.